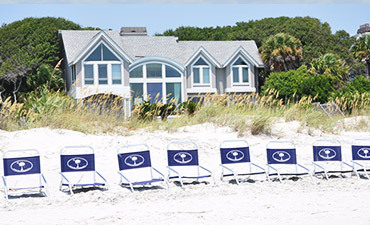 Shelter Cove Harbour is conveniently located mid-Island, directly across from the entrance to Palmetto Dunes Resort. This laid-back Mediterranean-style village offers something for all to enjoy. Enjoy free live entertainment seven days a week. Shop at some of the Island’s finest boutiques. 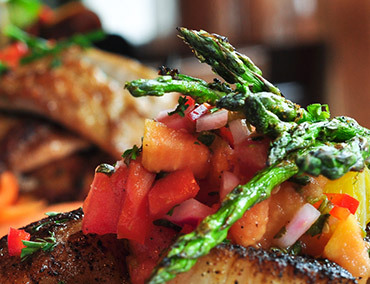 Dine at a variety of restaurants, many with waterfront seating and beautiful views. 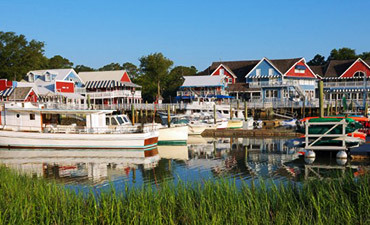 Stroll around Hilton Head’s largest deep-water marina. 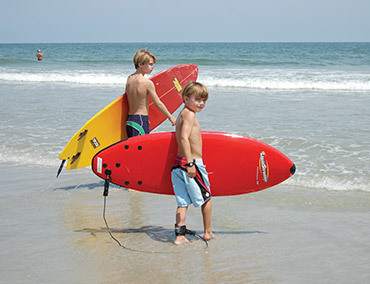 Plus, every conceivable water sport may be enjoyed here, from deep-sea and inshore fishing charters to sport crabbing, sail and power goal rentals and more! • Harbourfest is a summer-long event that has fast become an island tradition. 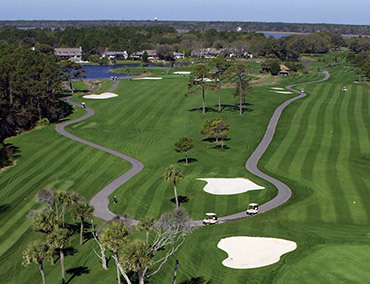 If golf is on your mind, you’re just steps away from three of Hilton Head Island’s top championship golf courses. These challenging masterpieces are sure to make quite an impression. Discover the ideal setting for a romantic dinner or just a casual lunch. The marina is lined with fine dining establishments, casual restaurants, cafes and bistros. Dine indoors or alfresco. You’ll love the harbor view. You’re going to love your vacation in Shelter Cove Marina on Hilton Head Island. You’ll have choices of inshore and offshore boating, small boats and big boats, nature cruises, dinner cruises and just plain fun cruises. Traveling north or south on I-95 proceed to SC Exit 8/ Hwy. 278 East. Follow Hwy. 278 East to Hilton Head Island (approximately 18 miles). At the Palmetto Dunes/Shelter Cove traffic light, turn right into Shelter Cove Harbour. Bluffton Parkway (a 7-mile newly constructed road) runs parallel to HWY 278. It can be reached by taking a right turn (out of Island-bound traffic at most major intersection) and turning left on Bluffton Parkway. Exit the airport and turn left at stop sign onto Beach City Road. At traffic light turn left onto Hwy. 278 Business/ William Hilton Pkwy. After crossing the main ridge onto Hilton Head Island, merge into left lanes and look for signs to the Cross Island Parkway. Turn right at the first traffic light onto Arrow Road and to the stop sign ahead. Hilton Head Island has two main roadways: the Cross Island Parkway or Business 278. The Cross Island Parkway is a toll road, costing $1.25 for most passenger cars. 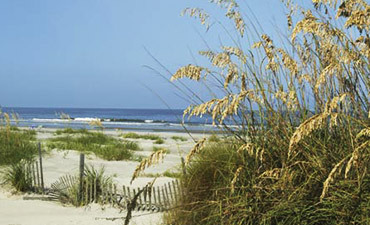 Hilton Head has 24-hour taxi service, 7 days a week and transport from Savannah and Hilton Head airports. Palmetto Dunes offers courtesy transportation within Palmetto Dunes and Shelter Cove (access to beaches, golf, tennis courts, shopping or restaurants). Vehicles will be dispatched on an Island Getaway link fist-come, first-served basis, based on requests received. There are many parks with nature trails and public beaches. Biking along the 12-mile coast is also a popular option, and there are many bike rental choices (with delivery and pick-up) on Hilton Head Island. Also unique to Hilton Head are the 50 miles of bike paths that will wind you through almost all of the Island’s areas and parks.